Explore the rich and important history of the Underground Railroad in this serious festival work. Opening with a solemn chorale, themes in the cello and bass soon take on the character of traditional spirituals. 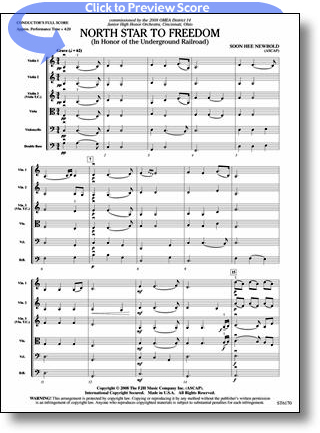 As the piece moves into a lively allegro section, the music becomes much more dramatic, depicting the excitement, nervousness, and extreme courage displayed by those who were able to escape to freedom. Inspirational!